We return with the second part of the article we published last week, regarding the 10 free activities that you could do while visiting London. If in the first part of the article we talked about visiting free of charge some of the most important museums in London (Museum of London, Geffrye Museum, Natural History Museum, National Gallery, British Museum, Tate Modern, Science Museum, Saatchi Gallery), visiting Westminster Abbey, London’s famous markets or the beautiful gardens and parks of London, this week we have some new ideas regarding some other few activities that you can do for free in London. Trafalgar Square – is one of London’s most important tourist attractions and it was designed by John Nash in 1820, but built later in 1830. 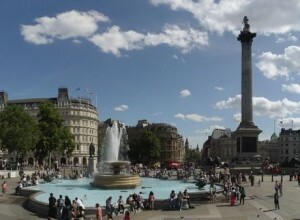 The iconic Market has many places where you can stop by: Nelson’s Column and the National Gallery are just two of them. If you are a tourist, one of the most reliable companies that you could use for transfers from London’s main airports – Heathrow, Gatwick, Luton, Stansted, London City – to Trafalgar Square is 247 Airport Transfer. Below you can see the prices that 247 Airport Transfer offers for transfers from these airports to Trafalgar Square (WC1N 5DS). The transfer from London Heathrow Airport to Trafalgar Square would cost almost 41 £ for a saloon car. The transfer from London Gatwick Airport to Trafalgar Square is approximately 58 £ for a saloon car. The transfer from London Stansted Airport to Trafalgar Square is of around 57 £ for a saloon car. The transfer from London Luton Airport to Trafalgar Square is approximately 54 £ for a saloon car. The transfer from London City Airport to Trafalgar Square would be almost 35 £ for a saloon car. Most tourists and English students gather in Trafalgar Square, especially during political demonstrations or in December, when the Christmas tree is lighted up. Yes, this isn’t a joke. The Roxy located on Borough High Street, close to Borough Underground Station, is a little bar that is quite different. Here, in addition to the excellent coffee or the cold beer, you can watch free movies every Sunday and Wednesday. The movies that are played here vary from classic productions with Paul Newman to romantic comedies and kung-fu flicks. If you walk down the Thames, from Westminster Bridge to London Bridge, you will see the most important attractions of the city without having to pay any money out of your pocket. These attractions include: Big Ben, The House of Parliament, London Eye, Gherkin Building, St Paul’s Cathedral and Tower Bridge. The sunset view is spectacular! 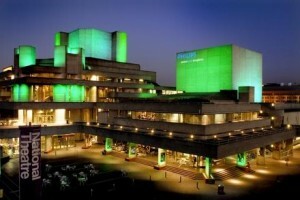 If you’re near the National Theatre, close to Waterloo Bridge, you should definitely go to a free concert. These concerts take place from Monday to Saturday, at 5.45 PM, and Sunday at 1.45 PM, and include a variety of musical styles from: jazz, folk to other musical genres that you will definitely fall in love with. It is an experience that you must try. Although London Eye is an undeniable attraction, you’ll have to pull some money out of your pocket! Instead, we recommend you to get on Primrose Hill, in north London, where you will be able to see the most spectacular views of the British Metropolis, and it will not cost you anything.